Robotify is a Dublin based startup which makes DIY robotics kits in order to teach kids how to code in a fun and intuitive way. It is made up of three young Irish Entrepreneurs: Adam Dalton, Evan Darcy and Shane Curran. Adam is the co-founder and CEO at Robotify. He drives the company’s vision, strategy and growth as it aims to provide interesting and unique ways to teach children coding. An entrepreneur from an early age, he has over 5 years’ experience in digital marketing, coding and growth strategy. Having launched his career as an entrepreneur teaching kids coding in a classroom setting, he has embarked on the next stage of his mission by studying a Bachelor of Business Studies at DCU while spearheading Robotify’s growth into new markets. Evan is the co-founder and Head of Product at Robotify. He is at the forefront of Robotify’s vision constantly engineering the product to reach new heights as they try to educate the masses. A self-taught engineering head Evan has overseen the successful launch of their first product Alpha, a DIY obstacle avoidance car while notably inventing new technologies such as the Robotify Board and a custom designed 3D printed chassis. Studying Engineering in DCU Evan is driving force behind Robotify’s learning innovations. Shane is the co-founder and CTO of Robotify. He is the vanguard of Robotify’s digital innovations and software development. He is the ‘whiz-kid’ of the team. At the age of just 16 Shane has already 10 years of experience in coding, entrepreneurship and business development. Having launched many of his own startups Shane has spoken and given presentations at conferences such as the Web Summit and the European Commission ICT. He also won Junior Dragons’ Den Final on RTE. 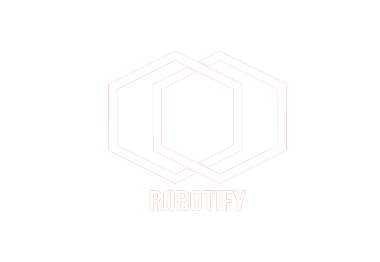 At Robotify he has overseen the development of their unique learning Dashboard from the ground up. Notably Shane has also recently been awarded the BT Young Scientist and Technologist of the Year Award for his efforts on post-quantum cryptography.